Traditional sanding operations generate a lot of dust and, regardless of the application, dust from sanding operations can be hazardous. Of particular concern are the hexavalent chromium, cadmium, and lead often found in paint, and the dust from resins associated with fiberglass and carbon fiber composites. Proper dust control starts with the facility design. Then processes are established with minimum dust generation as a goal, and the last line of defense is the protective clothing (PPE) operators wear while sanding. Traditional sanding generates so much dust when the abrasive disc is not flat on the surface, however, that no procedures or facility modifcations can control the exposure risk completely, and thus operators are more dependent on their PPE than is desirable. Without optimal dust collection, abrasive discs load prematurely, wasting still sharp abrasive grains and creating a need for more frequent (and time-consuming) paper changes. Loaded paper, prior to replacement, sands less effectively, thereby extending process time. Dust left on the surface by inadequate vacuum performance can load the abrasive, creating undesirable swirl marks. Excess dust on the surface also makes inspection more difficult and quality issues harder to identify. Even with attached vacuum systems, manual sanding risks tilting the sander rather than staying flat on the surface, which breaks the vacuum seal and flings dust into the shop environment. Tilting the sander can also leave gouge marks that potentially require expensive repair. Large air-walls play a large role in limiting dust egress into non-sanding parts of the facility, but they require very expensive filter replacement every few months. Central vacuum system filters are less costly, but lose efficiency over time, and the associated long hose runs often develop leaks. The combined inefficiency of these factors requires a facility to install a more powerful vacuum system to start with or suffer from inadequate suction. The long hose runs required by a central vacuum system also put more weight on the sander, take longer for setup and cleanup, and represent a trip hazard. Fine dust particles often clog a vacuum filter long before the bag is full, reducing performance accordingly. 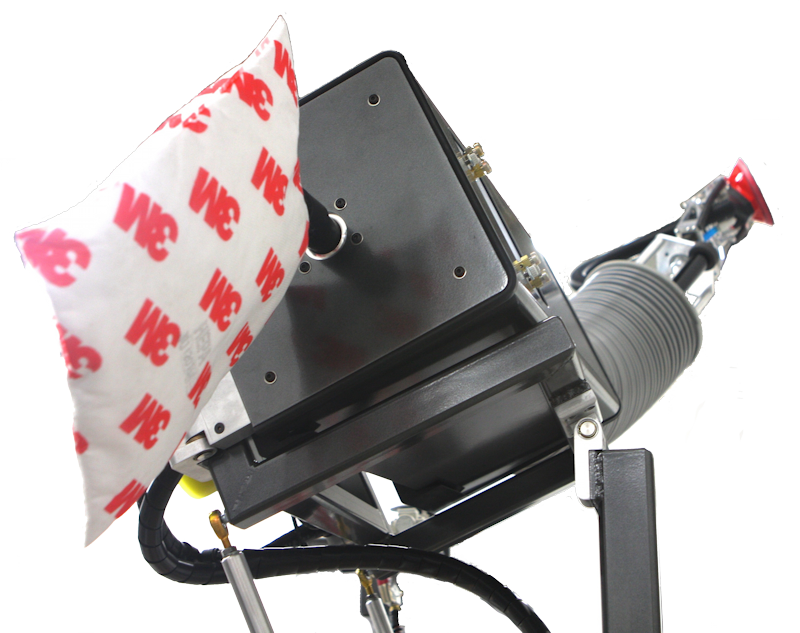 Once the bag is full, even the best industrial pneumatic vacuums take some time to empty, and doing so can interrupt process flow if the operator needs to empty the canister in the middle of a shift. Emptying the bag can also risk exposing the operator to its contents. While typically offering better vacuum performance than central vac systems, standalone units are still only as good as the sander itself allows them to be, and if that sander does not stay flat on the surface, the vacuum performance is inherently compromised. Temple Allen sanding solutions combine an always-flat sander with the time-saving convenience of a powerful integrated dust collection system which vents into disposable 3M™ Clean Sand Filter Bags. 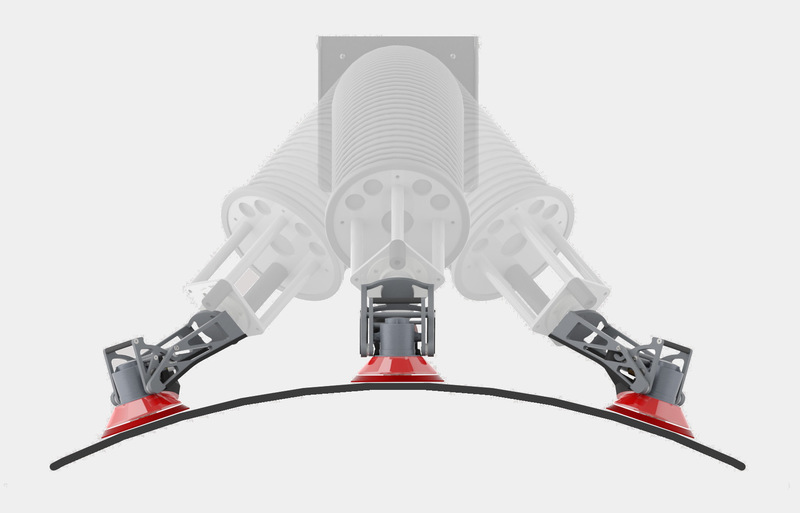 Requiring less power than a conventional vacuum system because of the short hose run, and because the vacuum is running only when it needs to be, TAI’s new dust collection system has no moving parts, and because each easily disposable bag has its own fresh filter, there is no chance for dust capture efficiency to decrease over time. There is no vacuum hose that has to be dragged around cluttering the floor, and the improved vacuum performance from the always-flat sander reduces loading, maximizing abrasive life, improving finish quality, and minimizing the process time spent changing abrasives. Temple Allen's new Integrated Vacuum feature empties directly into disposable 3M™ Clean Sand Filter Bags. 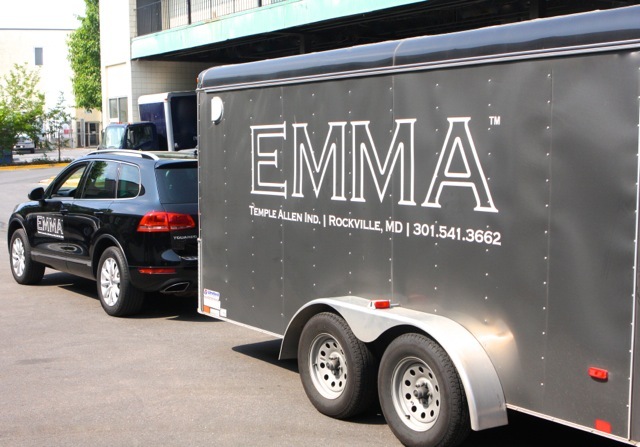 Temple Allen took their show on the road last week with our EMMA™- emblazoned trailer headed for Wichita. Two rail-mounted EMMA units were installed at our client’s facility over the weekend, where they will be performing multiple sanding operations on large diameter parts - including scuffing bare composite and sanding surfacer/filler. 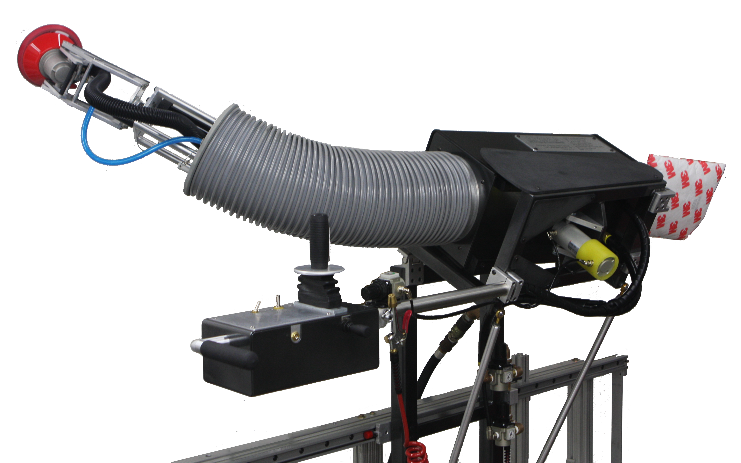 These systems came with three of the new features discussed in last month's newsletter - Auto Sweep, Operator Presence Control, and Integrated Vacuum - as well as the powder-coated metal actuation and joystick boxes we've been offering for the last twelve months. We then performed operator and maintenance training on Monday and Tuesday. 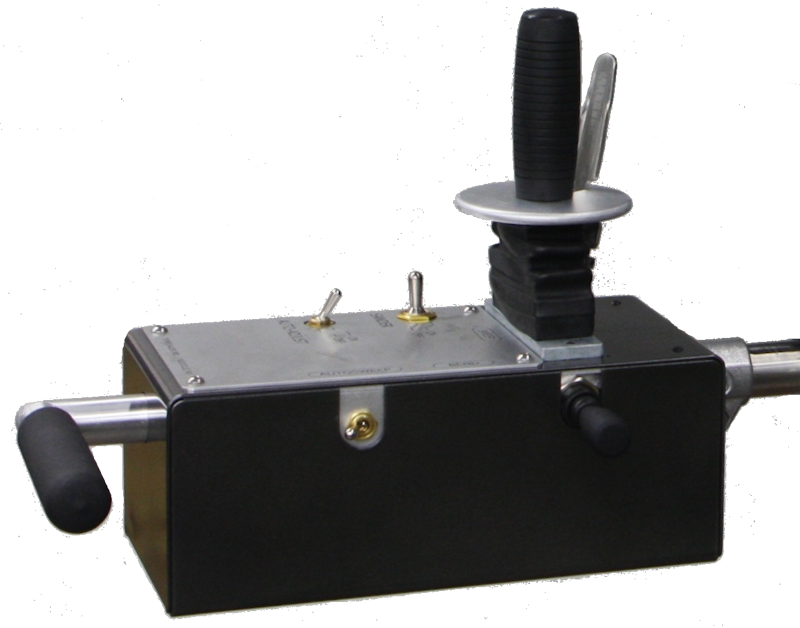 Rail-Mounted EMMA™ Joystick Box featuring OPC (Operator Presence Control), User Handle, and (near side) Auto Sweep switch. In addition to the equipment we were delivering, the trailer had room for two demo EMMA systems as well as a pair of Wing-top Sanders, so we were able to stop by other facilities while in Wichita to introduce them to our latest equipment (and pick up a test panel - thanks Kevin). We then drove to Dallas/Fort Worth to pick up some existing systems that we'll be upgrading, and review some new applications. We expect to go out on the road again soon, so if you’d like to be one of our destinations – please let us know. Copyright © 2014 Temple Allen Industries, All rights reserved.